The day begins in the spacious and bright ground floor dining room (or on our terrace) with a rich and entirely organic breakfast buffet: honey and mountain cheeses, a variety of fresh bread, homemade jams, fresh fruit and cereal in flakes or hand-milled. During lunch (12:00 to 13:45) and dinner (18:30 to 21:45) you can taste the delicious delicacies of our cuisine and wide selection of pizzas. The afternoon menu offers a small selection of cold appetizers. On the terrace you can quench your thirst with a fresh herbal syrup (Monarda) made with flowers picked from our garden or cool off with one of our delicious homemade ice cream flavours: spice, farina bòna flour, lemon ginger and other tasty and fragrant flavours. On weekends and during the summer we recommend that external patrons reserve a table. The dining room with its 70 inside seats and 50 outside is ideal for banquets and weddings; making your anniversary or party an ethical and sustainable food event. Please contact us for a consultation without obligation. Restaurant open from 09.00 to 24.00. From November 1 to December 21 2019: Closed Wednesday and Thursday. From 22 December 2019 to 12 March 2020: Closed for the winter season. We propose fresh products from organic and regional harvests, including from our orchard. We also give particular attention to vegetarian cooking and homemade pastas, which are mainly made with whole grains, freshly ground to preserve their flavour and to guarantee authenticity. Our menu regularly offers ethnic dishes from culinary cultures as far away as India or the Middle East, and accommodates guests with food allergies or intolerances. On request we prepare meals for various types of diets: lactose or gluten free; and dishes for guests who prefer vegan cuisine. 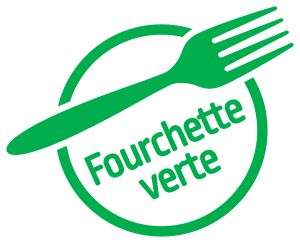 We are part of "Fourchette Verte", a nutritional quality in the field of health promotion and prevention of some diseases (certain types of cancer, cardio-vascular disease, obesity), combining pleasure and health. Barbara and Marco, our pizza chefs, will surprise you with typical pizzas and house specialties, such as pizza with whole wheat pasta, pizza for vegans and other specialties with local and seasonal products. Since 2017 we have joined the initiative launched by GastroTicino and Ticino a tavola "Homemade", a project that promotes restaurants who choose to offer customers food prepared, processed and cooked entirely in the restaurant kitchen. The wine list features a selection of wines from Ticino produced with grapes ranging from old varieties (bondola, American) to traditional merlot and today's popular interspecific crossings of grape varieties that do not require invasive treatments. The selection of organic wines is mainly sourced from the nearby regions of Italy.